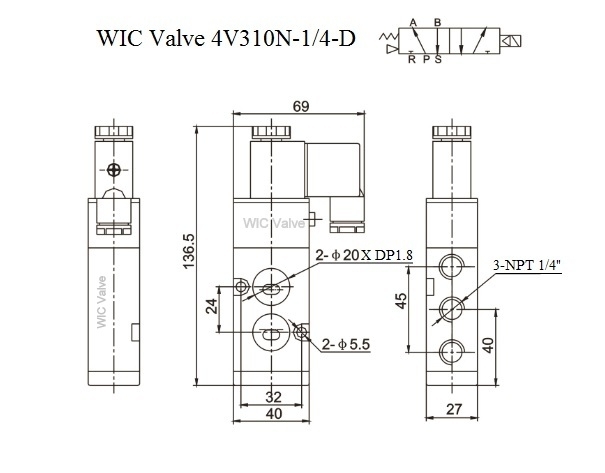 WIC Valve PVD Series 2" Inch Pneumatic Double Acting (Air Return) Air Actuated Stainless Steel Ball Valve. 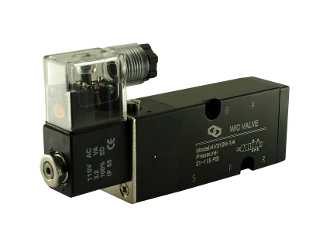 WIC Valve PVD series 2" NPT pneumatic air actuated valve equipped with stainless steel 3-piece ball valve, it allows a easy installation. 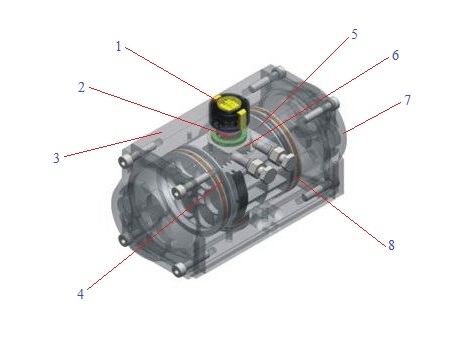 PVD series double acting air actuated valve use pressurized air to open and close the ball valve. 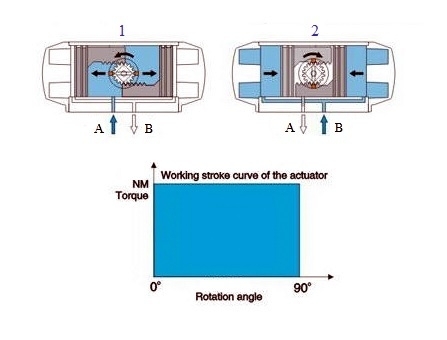 The characteristic of the air actuated ball valve is that it has high flow rate, the full port straight through ball valve allows the service media such as air, gas, liquid, steam and water flow through directly without reducing the flow speed. 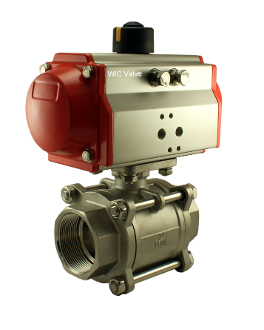 The 316 stainless steel ball valve comes with Teflon seal which can be used at a high operating temperature and pressure applications. 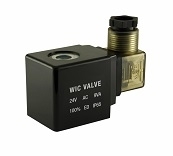 Also, it is ideal for the hazardous environments.